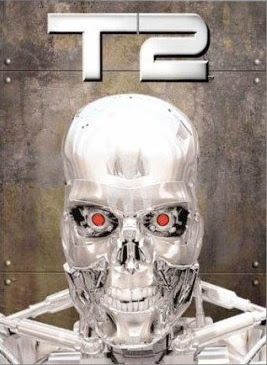 After that, check out an otherwise excellent article unfortunately titled, Killer Robots Pose Latest Threat To Humanity to see why. "Over 4,000 robots are currently deployed on the ground in Iraq and by October 2006 unmanned aircraft had flown 400,000 flight hours. Currently there is always a human in the loop to decide on the use of lethal force. However, this is set to change with the US giving priority to autonomous weapons - robots that will decide on where, when and who to kill." President Merkin Muffley: But this is absolute madness, Ambassador! Why should you *build* such a thing? Ambassador de Sadesky: There were those of us who fought against it, but in the end we could not keep up with the expense involved in the arms race, the space race, and the peace race. At the same time our people grumbled for more nylons and washing machines. Our doomsday scheme cost us just a small fraction of what we had been spending on defense in a single year. The deciding factor was when we learned that your country was working along similar lines, and we were afraid of a doomsday gap. President Merkin Muffley: This is preposterous. I've never approved of anything like that. Ambassador de Sadesky: Our source was the New York Times. Max Headroom - 20 Minutes into the future, was one of the GREATEST TV SHOWS ever. "In 1997, life imitated art as predicted by Max Headroom. In the original story, reporter Edison Carter exposed the TV network's efforts to create "Blipverts," a new high-intensity subliminal television commercial which had the unfortunate side-effect of overloading the nervous system of certain viewers to such a degree that they exploded. In a bizarre parallel in 1997, Japan's popular Pocket Monsters (Pokémon) television series included a sequence of flashing imagery which unintentionally triggered seizures in hundreds of viewers susceptible to photosensitive epilepsy — though without fatalities." Max, the CG replicant of Edison residing in the intestines of Network 23, gives out hyper kinetic riffs about the world in ways wildly familiar to what kids experience today on the web. "Max existed in a ubiquitous worldwide computer network with access to virtually every type of information via multimedia interfaces. The show aired several years before the invention of the worldwide web. 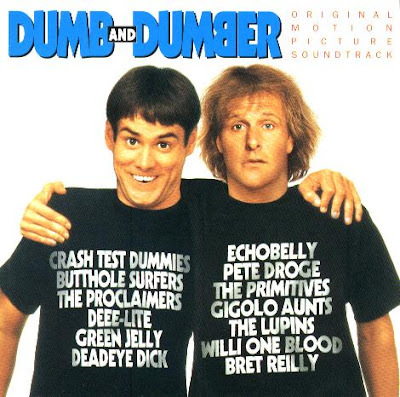 The internet of today looks remarkably similar to what was represented in the show." 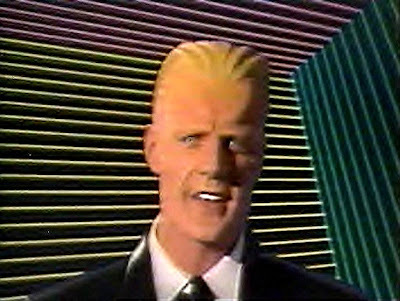 Max Headroom (His name comes from a sign delineating the maximum headroom of an overpass on a highway) lasted but a season (1987-88) but the impact of same was immense. Newsmap, a 20 second overview of the news, would warm the cockles of Max's digital heart as it confirms the notion that Instant Gratification isn't fast enough. 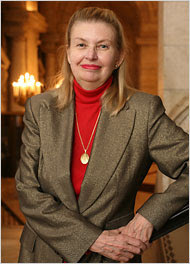 Just read a really good article by Sara Robinson about politics, revolution and society. "Bloggers are telling stories from the front lines of primaries and caucuses that look like something from the early 60s -- people lining up before dawn to vote in Manoa, Hawaii yesterday; a thousand black college students in Prairie View, Texas marching 10 miles to cast their early votes in the face of a county that tried to disenfranchise them. In recent months, we've also been gobstopped by the sheer passion of the insurgent campaigns of both Barack Obama and Ron Paul, both of whom brought millions of new voters into the conversation -- and with them, a sharp critique of the status quo and a new energy that's agitating toward deep structural change." She discovered research on revolution that comes up with startling implications: "...Crane Brinton, ...laid out seven "tentative uniformities" that he argued were the common precursors that set the stage for the Puritan, American, French, and Russian revolutions." and skillfully relates it to what is currently happening in the US. 1. The Economy - We all know about the housing boom and financial speculation that fueled the artificial economic boom of the 'aughts. Now, the chickens are coming home to roost as the economy crashes due to gross financial malfeasance that goes beyond anything we have seen in our lifetime. 2. 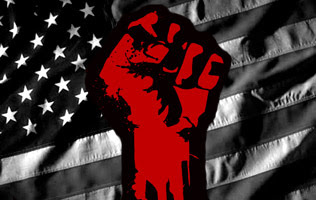 Class War - Tax cuts to the upper 1%, corporate giveaways to the extreme and the lack of universal health care are start points to citizen anger. 3. Deserted Intellectuals - Dumb & Dumber says it all. 4. Incompetent Government - This needs no documentation as politicians of all stripes are enablers of the worst kind. Katrina - Example No. 1. 5. Gutless Wonders in the Ruling Class - Dems anyone? In fact, almost anyone with power has let us down. America have been sold down the river. 6. Fiscal Irresponsibility - The Bush Administration leads the way on this with Congress as willing accomplice. 7. Inept use of Force - Iraq anyone? 8. Technology - The eighth condition is the wild card as it impacts the seven in ways that cannot be fully understood. 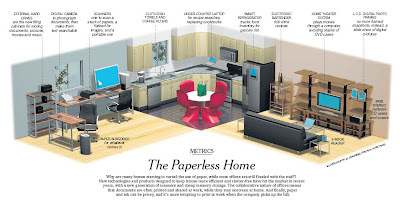 Tech is everywhere, inextricably connected to all aspects of society, something that must be factored in to any meaningful discussion about revolution as we move further into the 21st century. Read Robinson's article, it's that important because if the next president can't change things for the better, then all bets are off regarding the future of America. 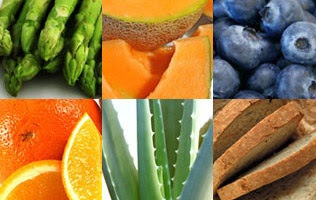 Read Food Myths. You will learn a lot. I know I have. After that, check out Pollan's new book In Defense of Food. It's a good read. Enjoy. "...the darkness within light. ... natural light fields are threaded by lines of darkness, which create optical vortices that appear as black points within the light. 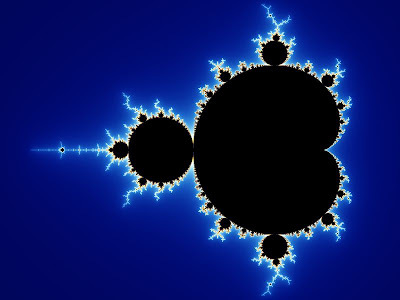 The group has modeled this phenomenon, and found that the lines of darkness exhibit fractal properties with Brownian (random) characteristics." Because Fractals are universal and self similar (ferns, nautilus, ocean waves, rivers, trees etc., etc., etc.) 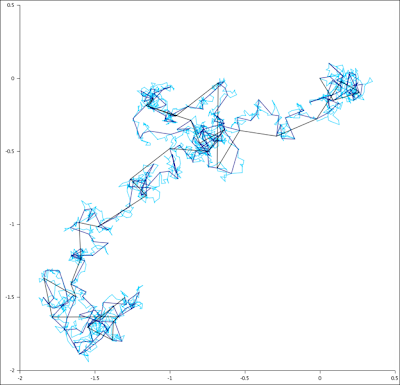 and Browinian Motion is a chaotic process (Random Walks etc., etc. ), the dark light random vortices/fractals constructs discovered by scientists have unusual properties "(the ratio of vortex lines to loops and their scale invariance) are very similar to the properties of cosmic strings, according to the cosmic string lattice model." While reading The Dark Side of Light, I realized that Goethe's Theory of Colors details the interaction of light and dark in ways that indirectly relate to the dark side article, not in fractals and randomness (obviously) but in the dynamic behavior of the interaction itself. When looked at through a prism, the colours seen at a light-dark boundary depend upon the orientation of this light-dark boundary. 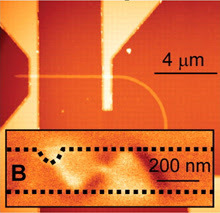 When viewed through a prism, the orientation of a light-dark boundary with respect to the prism is significant. With white above a dark boundary, we observe the light extending a blue-violet edge into the dark area; whereas dark above a light boundary results in a red-yellow edge extending into the light area." In some respects, Goethe's theory indirectly predates chaos because in chaos, all action happens at the edge, not the center. The same precondition applies to Phase transistions and fractal recursions as well as any other chaotic process including that of Brownian Motion. 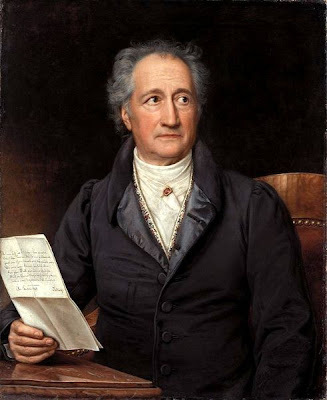 When seen in this perspective, Goethe's prescient research is spot on in discovering that light and dark interactions always occur at boundaries similar to what is seen in the Dark Side of Light. "A majority of adults, in what is supposedly the most religious nation in the developed world, cannot name the four Gospels or identify Genesis as the first book of the Bible." ...nearly half of 18- to 24-year-olds don’t think it is necessary or important to know where countries in the news are located. So more than three years into the Iraq war, only 23 percent of those with some college could locate Iraq, Iran, Saudi Arabia and Israel on a map. And so it goes. Check out Jay Leno's Man in the Street bits. Hilarious, sad, absolutely mind boggling to see just how stupid people can be when Jay asks somebody where Washington DC is and the answer comes back "France". No wonder the US is laughed at as the bastion of ignorance, religiosity and football. For the past year, the National Science Foundation conducted an extensive search to determine the most important "realistic" engineering challenges that must be met if mankind is to survive as a viable species on planet earth. 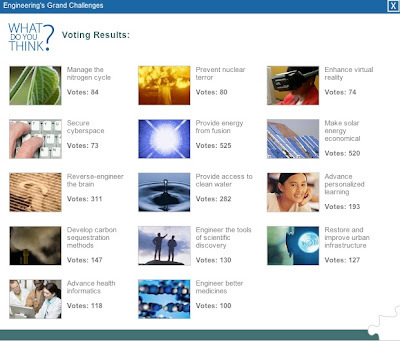 Getting advice from top engineers and scientists from all over the world, "The final choices fall into four themes... essential for humanity to flourish: sustainability, health, reducing vulnerability, and joy of living." To see the final fourteen (and add your commentary), click on the image below to enter an extremely cool site loaded with very high end content. All I need now is another book to read (among the multitude on my list) but The Last Flight of the Scarlet Macaw by Bruce Barcott looks like a must as he shows how corruption, greed and plain stupidity can triumph over common sense and the common good when it comes to nature, politics and, in this case, the disastrous impact of a dam on the habitat of the Scarlet Macaw, a bird considered by many to be the most beautiful in the world. As reference point, this passage from an earlier book written by a different author dealing with similar issues succinctly describes what transpires in Barcott's work. "In his unparalleled "Encounters With the Archdruid," John McPhee describes the conservationist's version of "hell on earth" as a series of concentric circles. At the outermost ring of the "devil's world" is a moat "filled mainly with DDT" (this was 1971, remember). Next comes "a moat of burning gasoline," then there are bulldozers and chain saws, until one reaches "the absolute epicenter. . . where stands a dam." Why? "Because rivers are the ultimate metaphors of existence, and dams destroy rivers." It's that simple." Read this passage from Macaw to get Barcott's take on what happens when big money is factored into the equation of environmental violation. "the dam was a fiasco: environmentally devastating, economically unsound, geologically suspect and stinking of monopoly profiteering." Blowback and tech go hand in hand in terms of comparing benefits versus costs of any given project. 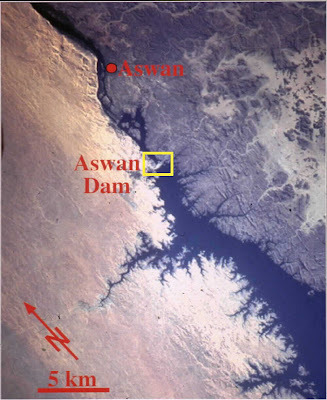 Looking at the Aswan Dam, one sees short term gain (Electricity) vs long term loss (Soil erosion). Which wins out, only time will tell. 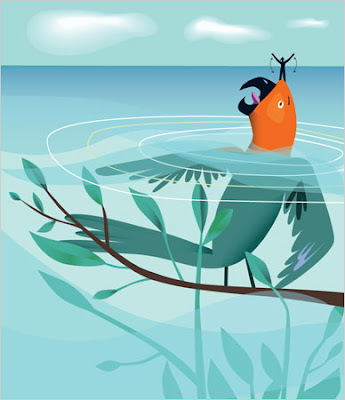 Blowback's law of unforeseen consequences also applies to what the Chinese are doing with the Three Gorges Yangtze Dam, a 29 billion dollar project that could be a rather expensive folly in the making according to the Washington Post if environmental devastation rears its ugly head. While the jury is out on this one (dam was completed in 2006), environmentalists did win out on another Yangtze dam project (Tiger Leaping Falls) because of it's projected negative impact on biodiversity. 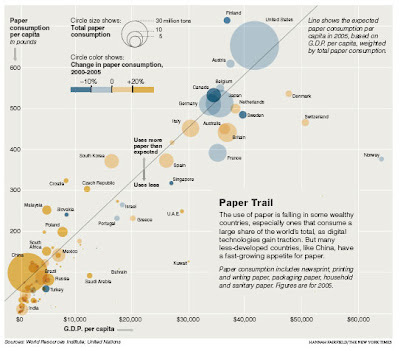 To learn more about industrialization and its effect on China's environment, read Choking on Growth. 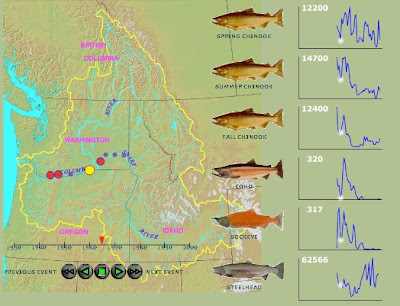 Sadly this wasn't the case when dams went up to generate electricity with little regard for salmon as... "Several populations of wild salmon in the Columbia and Snake River basins are extinct, and others are near extinction." Ah, another book to read. This looks like a keeper as Fritjof Capra knows his stuff as a respected researcher who takes a holistic view of reality and applies it to creativity and science with insight and style. 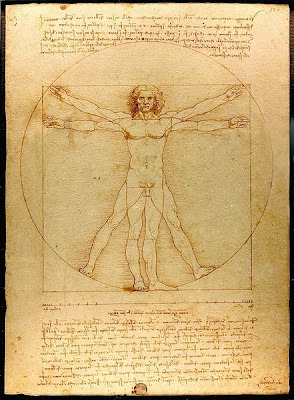 Reading the review, one gets the idea society would have been radically different had da Vinci been able to publish his notebooks showing how he viewed his world and the roles science and medicine played in it. 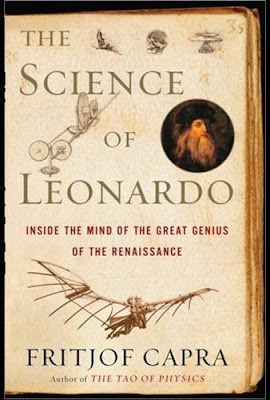 “The Science of Leonardo is a fascinating glimpse of the road not taken by Western Science. Capra makes a compelling case that the science of the future may look a lot more like Leonardo's than Bacon's or Descartes -- a science of systems, non-reductive and akin to an art. --Michael Pollan, author of The Botany of Desire and The Omnivore’s Dilemma." And: "The Science of Leonardo argues convincingly that this keen observer of nature was also a gentle soul in an age of shocking cruelty. He was, for example, a vegetarian, and he harbored no doubts that animals had souls; his drawings show cats, birds and horses with the same piercing, intelligent eyes and the same fierce dynamism as human beings. Unlike his contemporary Machiavelli, who wrote of conquering rivers, Leonardo declared that rivers could only be coaxed—and his terrifying drawings of rivers in flood, possibly inspired by a real cataclysm that struck Rome in 1514, show how profoundly he respected the power of nature." "All our knowledge has its origins in our perceptions." When WiMax goes live in conjunction with fast, portable devices equipped with capacious solid state memory, oled displays and server driven/managed content, the ability for the world to go paperless can become reality. For me, I can honestly say, Going Paperless applies except for Tax Time. Maybe this is why the IRS should go away. Perpetual Motion, a concept long considered impossible to achieve except in the minds of demented quacks stating they "have one" in the "lab" that never seems to work when tested may actually turn out to be possible if this Physorg piece is to be believed .."Thane Heins´ "Perepiteia" generator seems to turn magnetic friction into a magnetic boost, causing the motor to accelerate in a positive feedback loop." 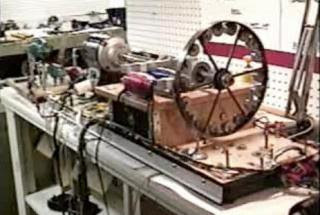 To start the ball rolling, "Heins did an experiment: he overloaded the generator to get a current, which typically causes the wire coil to build up a large electromagnetic field. Usually, this kind of electromagnetic field creates an effect called "Back EMF" due to the so-called Lenz's law. The effect should repel the spinning magnets on the rotor, and slow them down until the motor stops completely, in accordance with the law of conservation. But instead of stopping, the rotor began to accelerate. Heins recounts that the first time it happened, the magnets starting flying off and hitting the walls, as he ducked for cover. " Click on the YouTube video to see how Hein's Perepiteia Generator works. Who knows, maybe there is a ghost in the machine after all. Click here to go to Potential Difference, the company Thane C. Hein formed to get the Perepiteia Generator out into the real world. The Earth doesn't need us. Agent Smith, "I'd like to share a revelation that I've had during my time here. It came to me when I tried to classify your species and I realized that you're not actually mammals. Every mammal on this planet instinctively develops a natural equilibrium with the surrounding environment but you humans do not. You move to an area and you multiply and multiply until every natural resource is consumed and the only way you can survive is to spread to another area. There is another organism on this planet that follows the same pattern. Do you know what it is? A virus. Human beings are a disease, a cancer of this planet. You're a plague and we are the cure." 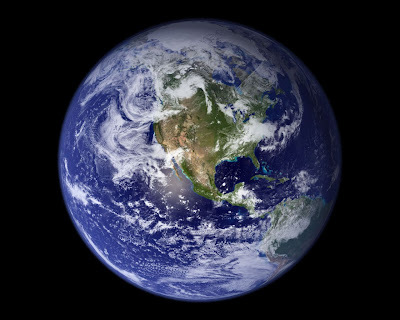 This view about Earth not needing us is further reinforced when viewing the excellent History Channel show Life Without People which shows a similar timeline to Alan Weisman's World Without Us bestseller. The part that really struck me was the program's take on the after affects of the Chernobyl nuclear reactor disaster from "which people left suddenly, and to which--even more than 20 years later--they still have not returned." 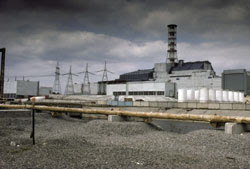 In the first months after the meltdown, the radiation, as expected, killed off most of the plant and animal life in the immediate area of the plant and, as expected, life slowly returned but not to the extent that anyone could have imagined. Researchers estimate that not only 15 times the amount of animal life have been seen in the countryside since man's 20 year departure but that the animals themselves are huge and healthy. Link that astonishing statistic to the amount of life the seas would support without man and one can logically deduce that Agent Smith is right in terms of stating just how bad a steward we have been to our world. 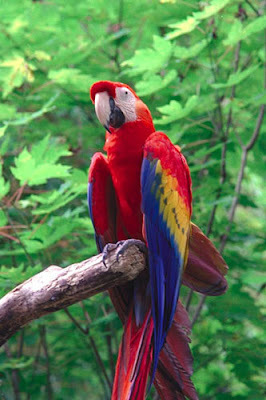 Click here to see a quick timeline showing just how transient a species we really are. Click on the image below to see how not to care for the environment. 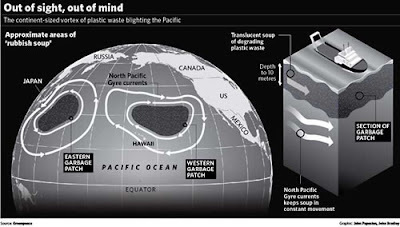 "A “plastic soup” of waste floating in the Pacific Ocean is growing at an alarming rate and now covers an area twice the size of the continental United States." Who knows, maybe Gaia is telling us something by accelerating climate change in order to get rid of us. After all, she has survived many extinctions before so having another one wouldn't be such a bad idea when needing to reestablish the natural balance of give and take that drives all life on the planet known as earth. 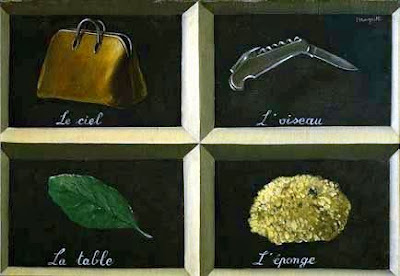 Magritte's iconic Treachery of Images painting (seen above) is a sly, desruptive look at art and society seen through the eyes of an artist with a puckish sense of humor. 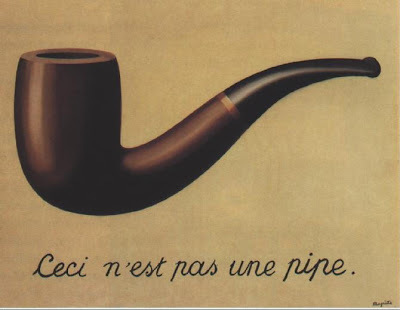 "Magritte painted below the pipe: "Ceci n'est pas une pipe" (This is not a pipe), which seems a contradiction but is actually true. The painting is not a pipe, but rather an image of a pipe. As Magritte himself commented: "Just try to stuff it with tobacco! If I were to have had written on my picture 'This is a pipe' I would have been lying." Magritte's ironic take on what art is and is not goes further with his Key of Dreams series where his titles continue to confound what the viewer sees and not what the painter intends. 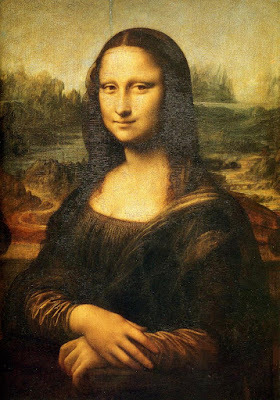 When seen in this light, art depicting reality can be looked at as a fraud in the best sense of the word because obviously the painting of the Mona Lisa can never be the Mona Lisa even though one unconsciously glosses over this self evident fact when looking at the work. This concept of separation of fact from fiction occurs in almost every endeavor man does when it involves taking a "snapshot" of anything whether it be the filming of The Godfather or Shakespeare writing Hamlet. In improv dance, pottery and free jazz, there is no separation, the object in question is complete while in written music, the score denotes how the piece will be played but the performance transforms it into music. This disconnect also applies to science because researchers create experiments to take "controlled snapshots" of reality to see if there are underlying laws that explain how that particular aspect of reality works (Double Slit Experiment/Light, 1919 Eclipse/General Relativity. because to do otherwise becomes an exercise in religion or speculative conjecture. When it comes to Quantum Computing, however, the ability to create reality is valid, The question now is, are we ready for it?